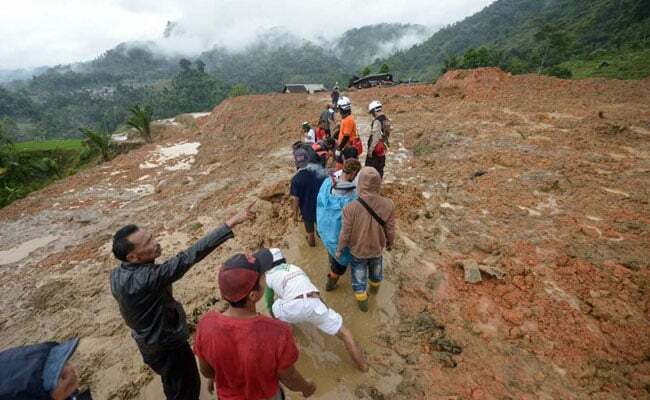 The landslides, which struck a village in West Java on Monday, also injured 2 people and buried thirty homes, Sutopo Purwo Nugroho, a spokesman for Indonesia's disaster agency said in a statement. Landslides on Indonesia's heavily populated island of Java killed at least two people and left 41 missing, an official at the country's disaster agency said on Tuesday. "Rugged rocky roads and the rainy weather is making it difficult for our team to conduct evacuation operations," Nugroho said, adding that heavy equipment was needed to help search for survivors.